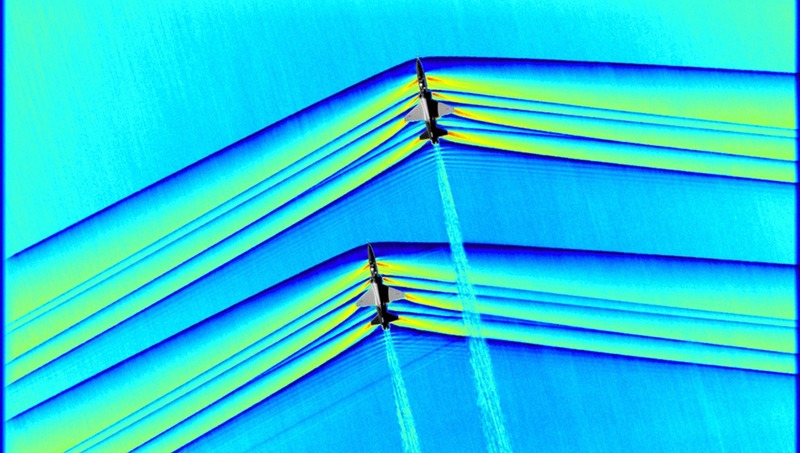 The photographs are from a recent test of advanced air-to-air photographic technology and show the first-ever images of the interaction of shock waves from two supersonic aircraft in flight. 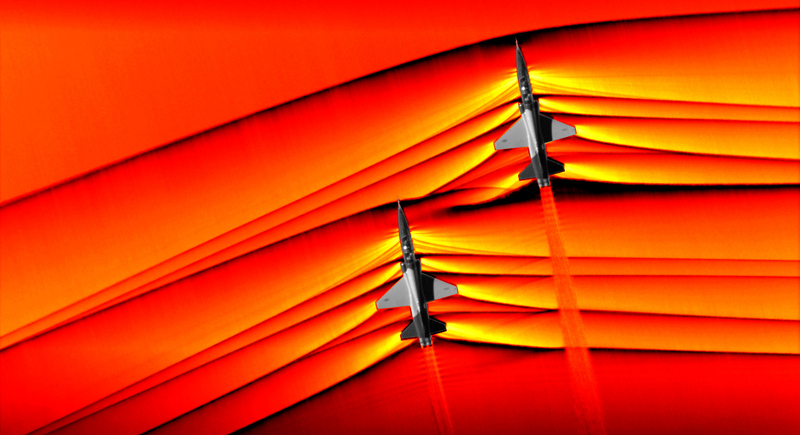 These eye-popping aerial shots feature a surprisingly NASA take first air-to-air images of supersonic shockwaves flying near top speed above Edwards Air Force Base in California. 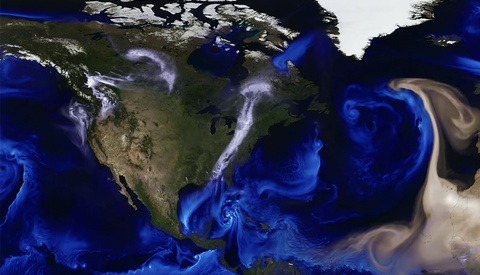 Dan Banks, a senior research engineer at NASA, said in a press release that the images represent a level of detail "I don't think anybody has ever seen before," calling the new data "a very big step." Shock waves are created by rapid pressure changes that occur when an aircraft travels faster than the speed of sound. 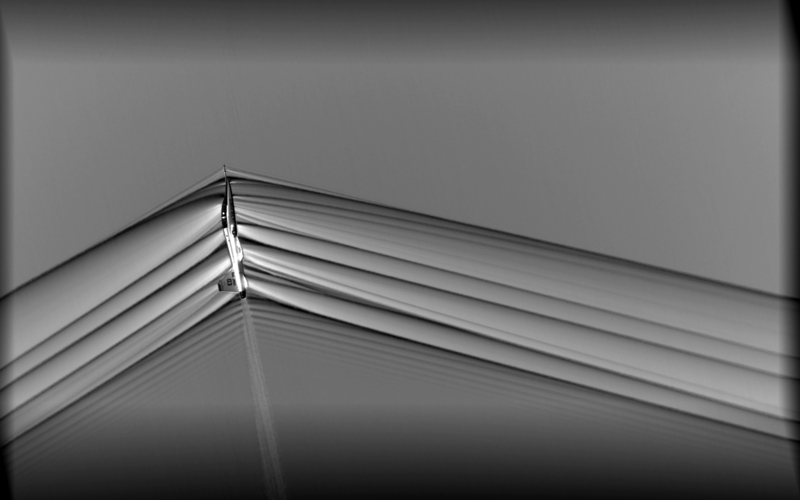 NASA has been developing a technique called Schlieren photography that relies on air-to-air interactions to capture the effects of supersonic flight. A special hydrogen alpha filter, and cameras using the sun as a background to visualize shock waves from supersonic aircraft, make the images possible. In reality, it can be hard to wrap your head around the process. 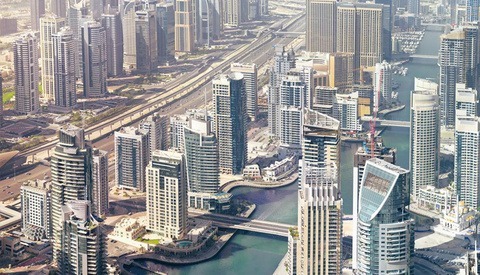 Whether we can fully grasp how NASA managed to use a hydrogen filter on a camera at 1,400 frames per second doesn't take away from the sheer beauty of the images. 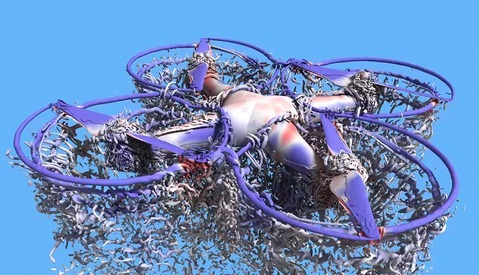 This is one of those times where the intersection of science and art truly gives us something special. Just FYI, the images produced by this method are black and white (as shown in the last photo) and extremely noisy (think ISO6400+ on a modern camera). The colorization has been done in post -- as well as adding the photos of the aircraft (they would appear as solid black with this method). It also appears that in at least one image they photoshopped in the aircraft upside down - unless they were flying inverted (highly unlikely). The third paragraph doesn't make any sort of grammatical sense. Does anyone else proof read things before they are posted?